Staying in this cave apartment located in the hills surrounding Guadix was a pleasant unique experience. Maria and her daughter were charming hostesses who welcomed and assisted us, even providing champagne to celebrate my 70th birthday. Free on site parking and good internet. The apartment had an lovely terrace with beautiful rose bushes all around. 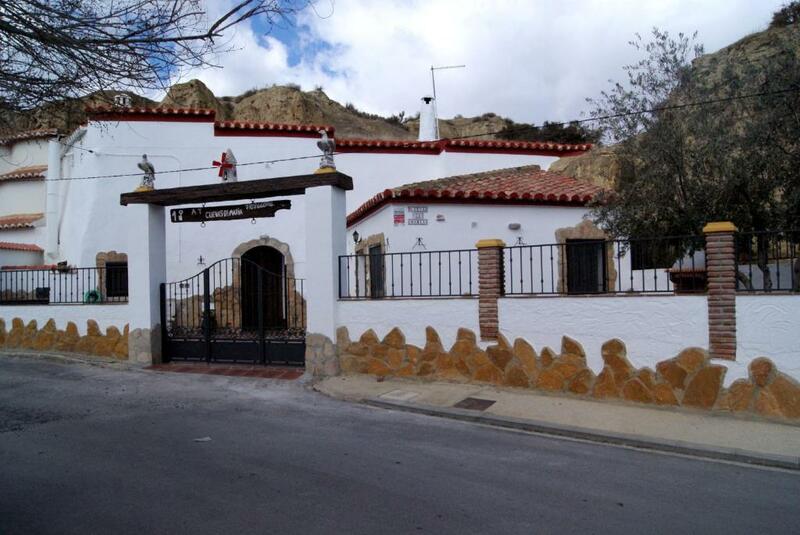 Within short walking distance of spectacular views of the hills and cave homes in the area. Our visit to the impressive Guadix Cathedral was well worth the time. Maria is a lovely host and she gave us a very friendly welcome. The beds were very comfortable, more so than we expected. We loved cooking meat on the open fire, it tasted fabulous! Be sure to visit Maria's show cave, it's very interesting and she has a wonderful selection of honey for sale there. Visit the church opposite Maria's office - it is built into the caves at the back and is very interesting! Dealing with the owner who ensured everything was suitable. The warmth and hospitality of the owner Maria and her daughter was delightful. The accommodation was unique and quirky a real experience to stay in a property like this. Staying in a cave house was a unique experience. The surrounding area was really interesting. This was an authentic and 'earthy' experience. Although Maria and her daughter Belinda don't speak much English they both had huge smiles and were truly welcoming. Absolutely wonderful Maria and Belinda, they are a delight! 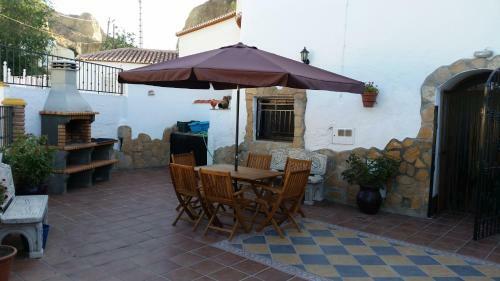 Cozy apartment near the center of Guadix and very close to other places such as Cave Museum and a viewing point. The apartment has all necessary utilities for your stay. If you'd like to enjoy a proper log-burning fireplace-experience, let Belinda handle it. 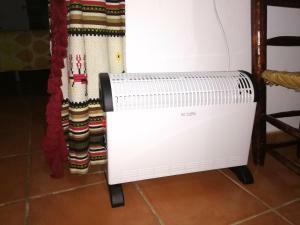 Remember to turn up the heating if visiting in the wintertime, if you're used to a very warm apartment. This place is a must if you're staying in Guadix area, perfect! 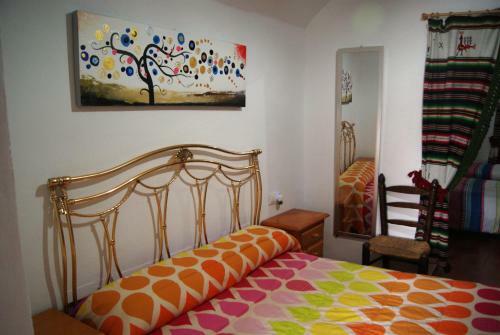 Maria is super friendly and everything was clean and comfortable. She doesn’t speak English and we don’t speak Spanish, but we made it work! Extremely good value for a 2-bedroom apartment. The cave house is very interesting. We wished we could have stayed longer! Extreme comfortable beds. Spotless decoration. Unique location. 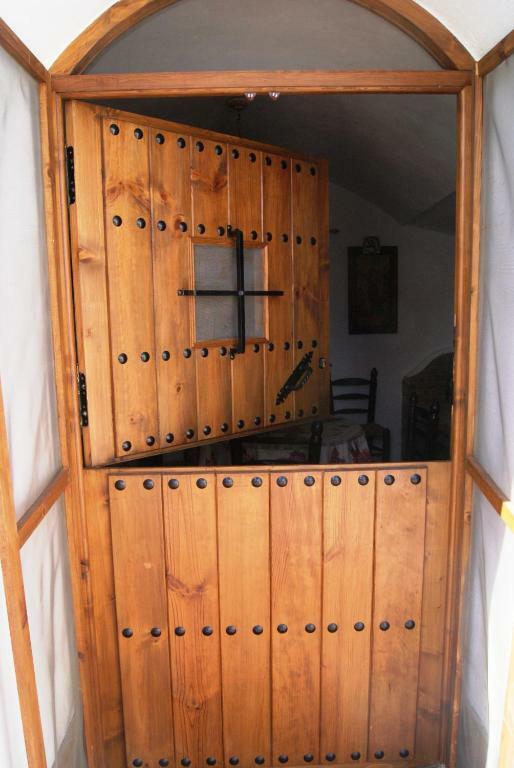 Lock in a great price for Cuevas de María – rated 9.2 by recent guests! One of our best sellers in Guadix! Set against impressive rock formations, Cuevas de Maria offers apartments featuring a terrace with BBQ facilities and outdoor furniture. Guadix Cathedral is 0.6 mi away. 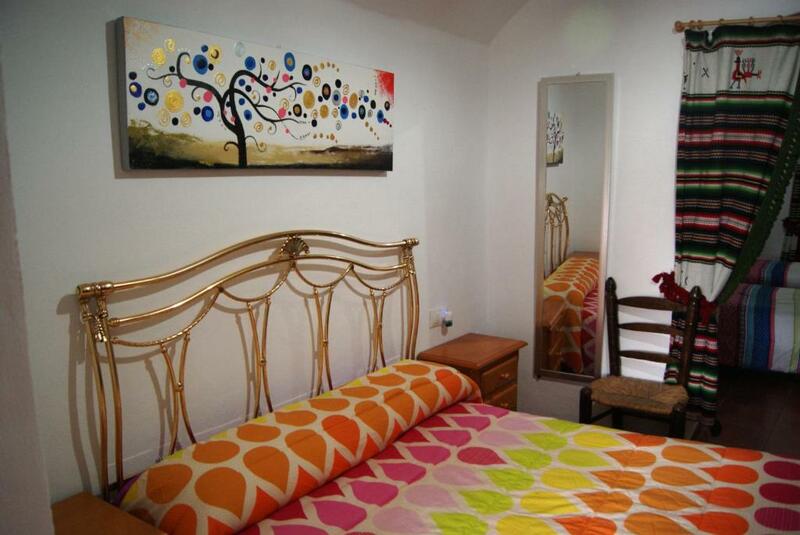 The apartments include a TV, washing machine, and fully equipped kitchenette with a coffee machine. With basic furnishings, Maria Caves display exposed brick, tiled floors, and arched ceilings. The Alcazaba of Guadix is about a 10-minute walk from the property, while Granada is a 45-minute drive away. 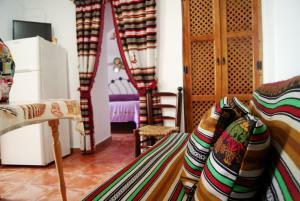 When would you like to stay at Cuevas de María? Featuring a terrace, this apartment includes a TV, washing machine, and fully equipped kitchenette with a coffee machine. 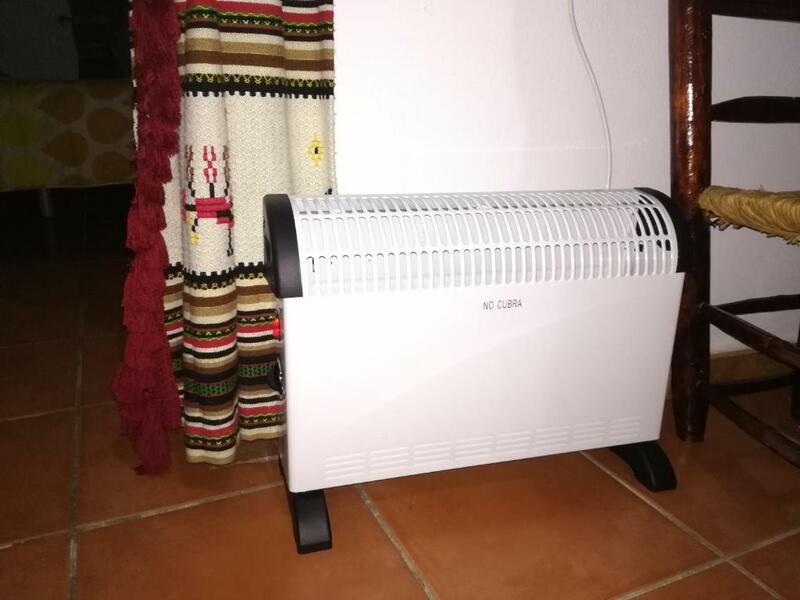 Nuestros alojamientos son cuevas apartamento de uso privado, no compartido, por lo que se trata de algo único y especial, en las cuevas se mantiene una temperatura constante de 20ºC durante todo el año, lo cual es de agradecer en determinadas épocas del año! Los apartamentos están decorados guardando las tradiciones y decoración típica de la zona, acompañados de todas las comodidades actuales. 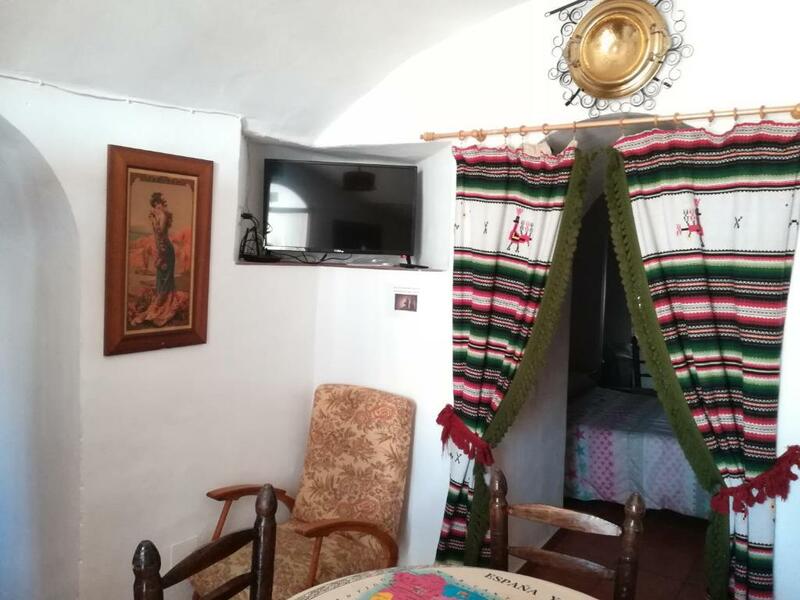 Me llamo María y somos una familia que lleva más de 15 dedicándose a ofrecer Cuevas Apartamento, nosotros siempre hemos vivido en una cueva, por lo que nos encanta que los que nos visitan disfruten de la misma experiencia, se trata de algo único y diferente. Me gusta ser atenta con los huéspedes para que disfruten de todas las comodidades posibles y que su estancia se convierta en un buen recuerdo. House Rules Cuevas de María takes special requests – add in the next step! Cuevas de María accepts these cards and reserves the right to temporarily hold an amount prior to arrival. Wood for the fireplace costs EUR 12 per bag. Please inform Cuevas de María of your expected arrival time in advance. You can use the Special Requests box when booking, or contact the property directly using the contact details in your confirmation. To be honest, a user error occurred and I didn't get the local wood to fire up in the fireplace. Then again, Belinda would have kindly helped with firewood if asked. A wonderful experience to spend a night in a genuine cave house right in the centre of the area where the caves are. Maria and her daughter Belinda were lovely. Really friendly and helpful.Nothing was too much trouble. Local restaurant close by where we had a simple evening meal and went back for Tomato toasts for breakfast. What a unique town! A little cave house that is exactly as described. Great lookout nearby. WiFi could have been faster for us as we had to work, although I'm sure it will be fine for most people. It's a 10-15 minute walk to the center of town and there is unfortunately only one restaurant/cafe in the entire neighborhood. Still though, it's not bad to pop into the center of town. Great location in a nice cave home and right next to the lookout over the entire city and valley. Easy access to visit some other cave homes as well. María is wonderful and a great host. Very comfortable home with all the necessities and a huge patio. Easy parking. The host family couldn’t be nicer. The temperature inside the house was perfect and we had a very comfortable night in such a beautiful area. Fantástico, muchas gracias! !